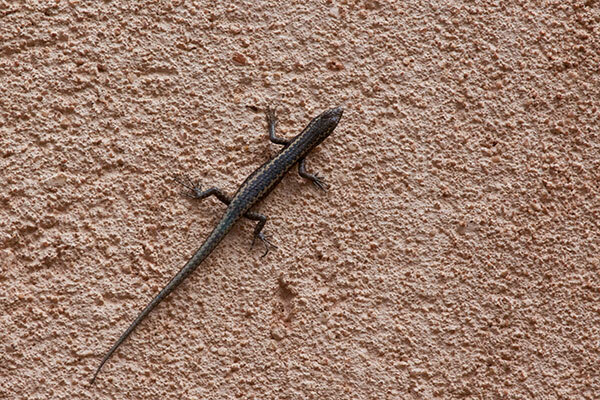 I usually find Cryptoblepharus skinks on the sides of vertical surfaces or on the top of horizontal surfaces. This was an interesting exception. I spotted it from a pretty long distance away due to its protruding head and neck forming a classic lizard silhouette. 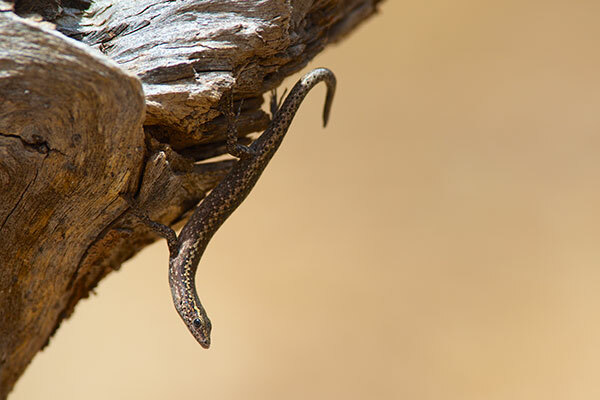 Two similar Cryptoblepharus species are found in this area, the other being Cryptoblepharus australis. I believe these two are C. pannosus based on the distinctive ragged outline of the dark stripe down the back.